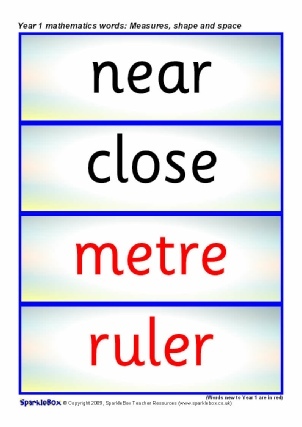 A colour banner for your ‘Geometry’ maths display. A set of printable cards featuring the mathematical vocabulary for ‘Measures, shape and space’ to be used in Reception. 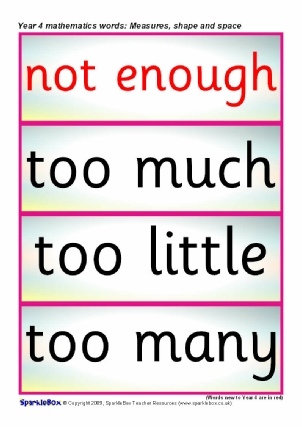 A set of printable cards featuring the mathematical vocabulary for ‘Measures, shape and space’ to be used in Year One. 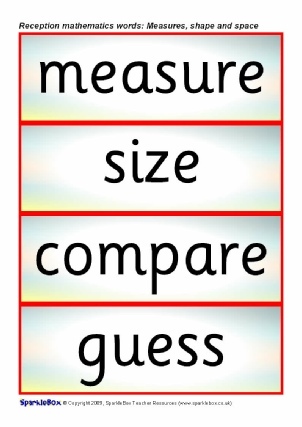 A set of printable cards featuring the mathematical vocabulary for ‘Measures, shape and space’ to be used in Year Two. 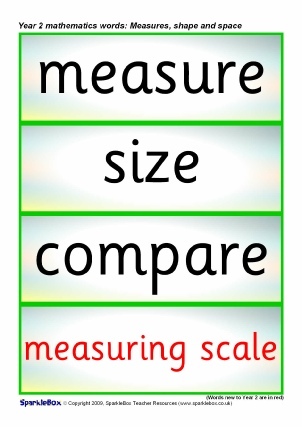 A set of printable cards featuring the mathematical vocabulary for ‘Measures, shape and space’ to be used in Year 3. 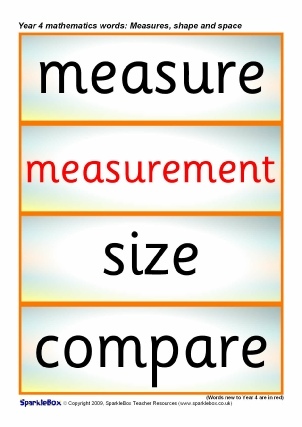 A set of printable cards featuring the mathematical vocabulary for ‘Measures, shape and space’ to be used in Year 4.